We are thrilled to have such a diverse and interesting class of Dream Award recipients! Tiara’s story concludes our series on each of the ten 2017 students. Check out previous student stories by visiting our Success By Degrees blog. Tiara Wills is a keen observer of the world around her. She records, in impeccable visual detail, each moment to her memory. Tiara considers this skill a blessing, but it also made her hyper-aware of her predicament as a homeless child in Washington D.C. The daughter of a recovering drug addict, Tiara remembers moving to a room in a Motel 6 with other families because the shelter where they were living couldn’t continue to house them. For a child this felt like a magical experience, as she remembers visiting her friends who lived just down the hall and eating cereal on the hotel beds. While her mom worked to recover from her addiction, Tiara went to private school run by the same organization as her mom’s rehab program. The school was a self-taught program where students would work through PACE books. Tiara was an extremely advanced literature student, completing an average of 40 pages from her workbook a day. Unfortunately, the school lacked the academic rigor to help push her learning forward—and it was located in a rather unsafe neighborhood. “The school was robbed 7 times,” Tiara exclaimed. During her 8th grade year, Tiara moved to Fort Washington, MD. The school system there had more people than Tiara was used to, but provided new opportunities. She continued to excel in literary studies, and was put in a fast track, experimental program to help as she struggled with math. 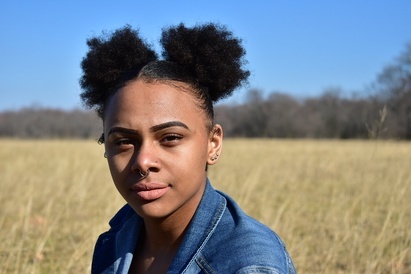 While in high school, Tiara was an active participant in many extracurricular activities including marching band and student government, but her real passion was always for film. She graduated from high school and started college in California, studying to become a film director. However, the experience was not all that she imagined it would be. Los Angeles felt like a fantasy world, and Tiara felt like she did not fit in. On top of trying to navigate a new cultural experience, her mother was diagnosed with cancer and her father’s heart was failing. The combination of social struggles and her parents’ failing health made it clear to Tiara that she needed to take a break from her studies to work and care for her parents. Her mom was concerned that Tiara would not go back to school, and kept searching for opportunities that would allow Tiara to pursue her dreams again. Tiara’s mom found the Dream Award and encouraged her to apply. “I was scared to apply because I didn’t know if I fit the requirements,” Tiara said. With a bit of faith, Tiara completed the application and waited eagerly for her “Congratulations” email from Scholarship America. Thanks to the support of the Dream Award, Tiara is now studying at Prince George’s Community College in Maryland, where she is pursuing her film studies degree to go on to become a film director. She hopes to capture through film her perspective of everyday life to share with people who are very different from herself. With determination and perseverance, Tiara has demonstrated she will stop at nothing to achieve her dreams.